You may have heard about the Child Tax Credit, which can reduce the amount of federal taxes you will need to pay to the IRS. 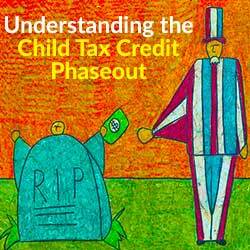 But do you know what is meant by the Child Tax Credit Phaseout? 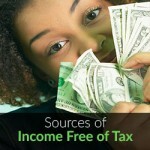 If you have children whom you claim as dependents when you file taxes, you will want to understand the meaning of this term. Any filer who is claiming the Child Tax Credit on their income tax return may be affected by the Child Tax Credit phaseout. To be eligible for the Child Tax Credit, children must be under 17 years old at the end of the tax year in question and must be U.S. citizens, residents or nationals. In the case of separated or divorced parents, only the parent who has claimed the child as a dependent can take the Child Tax Credit. How Does the Phaseout Work? 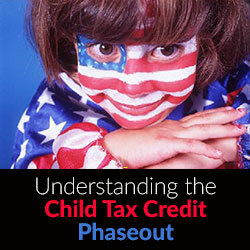 For you to understand what is meant by the Child Tax Credit phaseout, you need to know how it works. First of all, if you are eligible for the Child Tax Credit, you can claim up to $1,000 for each qualifying child. However, if your modified adjusted gross income (AGI) is greater than your allowable amount listed below, your credit will be reduced by $50 for each $1,000 of your income that is over this limit. Here, we will look at an example of how the Child Tax Credit phaseout works using fictional persons. John is a single taxpayer who has full custody of his two children who are two and four years old. Both children qualify for the Child Tax Credit. As such, John will be able to claim a $2,000 Child Tax Credit on his return. According to the chart above, he can earn up to $75,000 for the tax year in question without his credit being reduced. However, John’s total modified AGI for the year was $80,000. Since this figure is $5,000 over his limit, his credit will be reduced by $50 for each $1,000 over the limit leaving him with a credit of $1,750. It is essential to note that this is just a brief explanation of the Child Tax Credit phaseout. 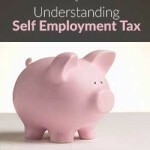 There may be additional requirements for the Child Tax Credit and limitations on the phaseout that are not described here. 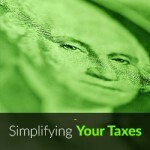 Always check with the IRS for any new requirements and laws pertaining to filing your federal income taxes.